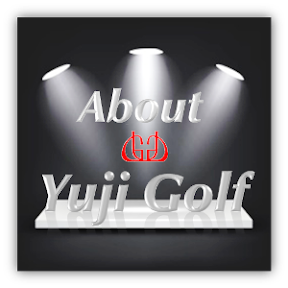 Previously, an Indian customer asked me " I don't know why my iron shafts easier to break " When I saw customer's club head it seems to be an imitation irons of Mizuno . Today let me explain about golf shaft breakage and why does it happens during your golf rounds or practicing in the driving range . Before that , there is a question for you. Question: Which one of these 2 shafts are easier to break, stiff shaft or softer shaft ? Your Answer Is : ( ) You will get the answer after you read through this column. 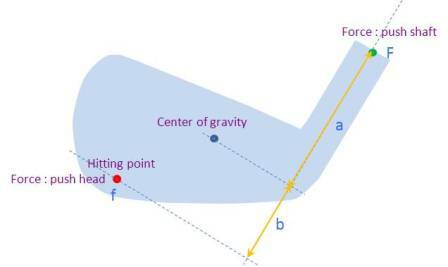 If you hit at the center of gravity (CG), there is no "force" toward the shaft.But once you miss hit the center, iron head will turn and pushes the shaft to bend. Most shaft breakages happens at the end of the neck. makes it easier causing the shaft to break. Now let's discuss about bending action of the shaft , when comparing torsional strength and twisting action, in this case the hitting point is far from shaft axis with higher chance of shaft breakage .As I analysed carefully on this customer's swing, most of his hitting point is on the toe side of the club face. My opinions for shaft breakage is unavoidable,as leading club manufacturer aims decreasing shaft breakages which is 01% or lesser. 1 out of 1000 pieces shaft breakage is normal,but if it happens to you often,then it is time for you to check your hitting point or the neck length of your club.